First Printing. 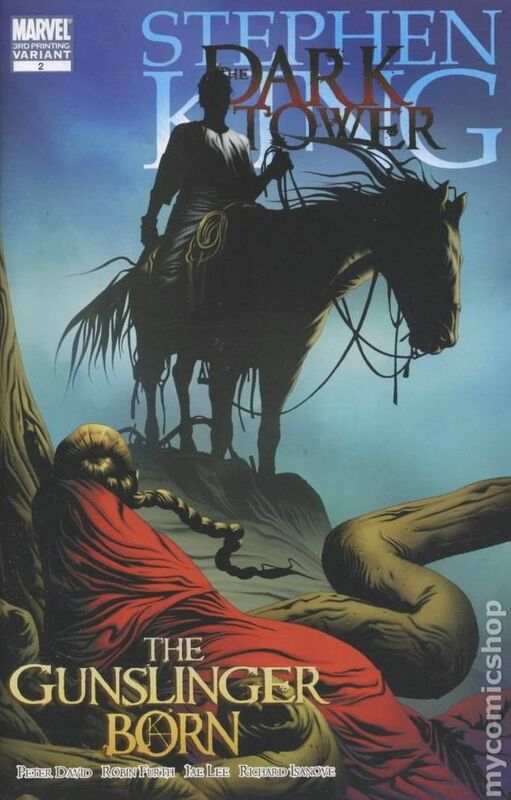 Written by PETER DAVID & ROBIN FURTH Pencils and Cover by JAE LEE & RICHARD ISANOVE Roland has incurred the wrath of the evil sorcerer Marten, and must flee his home in Gilead with two of his young friends. But arriving in the supposedly friendly town of Hambry may be no safer, for the dreaded agents of Marten are abroad-The Coffin Hunters! Though it's not all completely bleak as Roland meets the woman who will become the love of his young life-the beautiful Susan Delgado. Plus: Learn more about the land of the Dark Tower with exclusive bonus material! 48 PGS./CARDSTOCK COVER/Parental Advisory ...$3.99 Cover price $3.99. 1 for 25 Variant Cover by David Finch. First Printing. 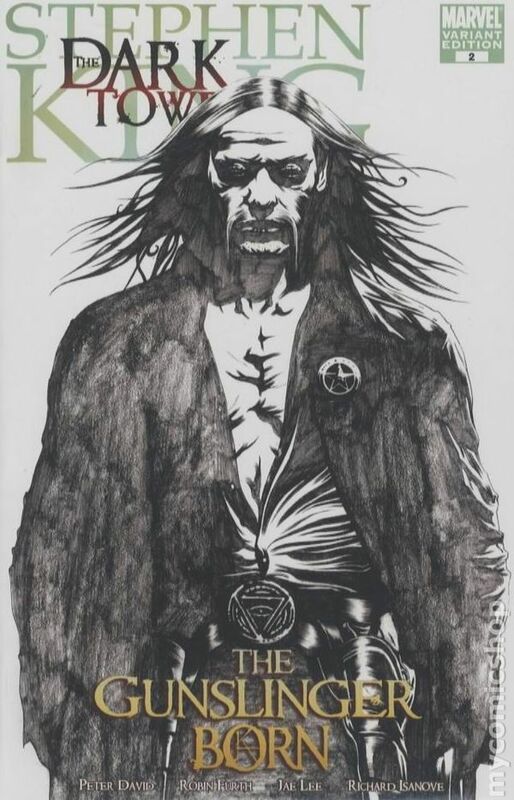 Written by PETER DAVID & ROBIN FURTH Pencils and Cover by JAE LEE & RICHARD ISANOVE Roland has incurred the wrath of the evil sorcerer Marten, and must flee his home in Gilead with two of his young friends. But arriving in the supposedly friendly town of Hambry may be no safer, for the dreaded agents of Marten are abroad-The Coffin Hunters! Though it's not all completely bleak as Roland meets the woman who will become the love of his young life-the beautiful Susan Delgado. Plus: Learn more about the land of the Dark Tower with exclusive bonus material! 48 PGS./CARDSTOCK COVER/Parental Advisory ...$3.99 Cover price $3.99. 1 for 50 Sketch Variant Cover by Jae Lee. First Printing. Written by PETER DAVID & ROBIN FURTH Pencils and Cover by JAE LEE & RICHARD ISANOVE Roland has incurred the wrath of the evil sorcerer Marten, and must flee his home in Gilead with two of his young friends. But arriving in the supposedly friendly town of Hambry may be no safer, for the dreaded agents of Marten are abroad-The Coffin Hunters! Though it's not all completely bleak as Roland meets the woman who will become the love of his young life-the beautiful Susan Delgado. Plus: Learn more about the land of the Dark Tower with exclusive bonus material! 48 PGS./CARDSTOCK COVER/Parental Advisory ...$3.99 Cover price $3.99. 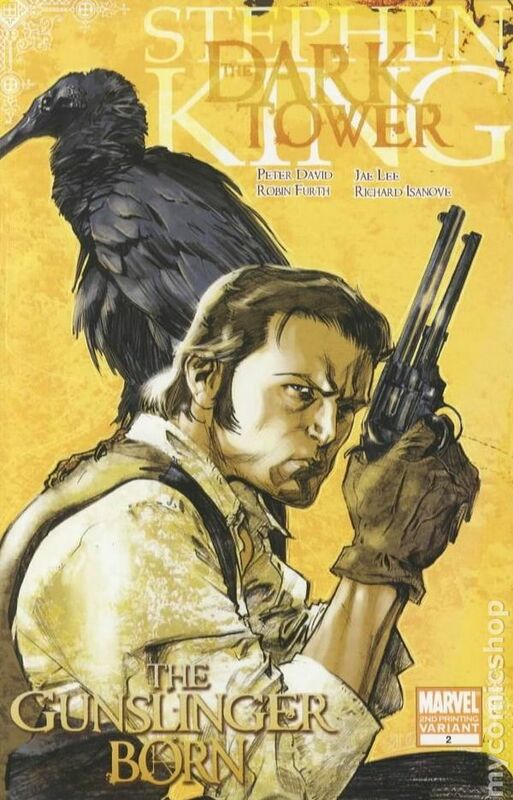 Second Printing Variant Cover. 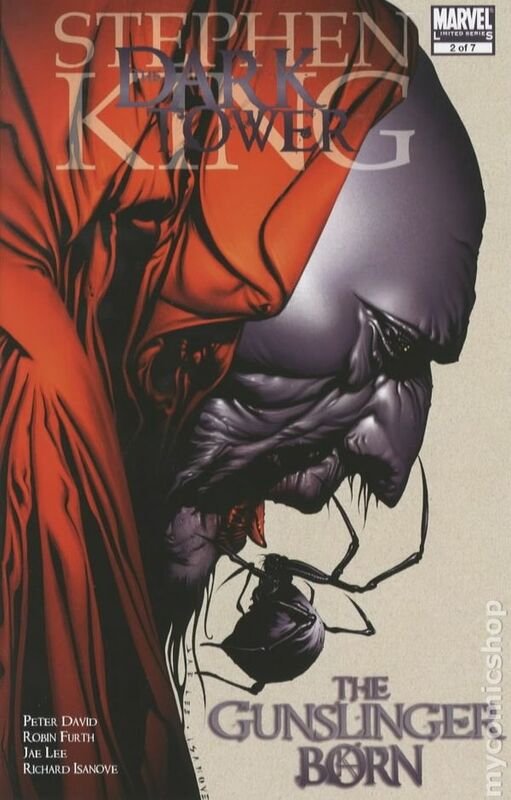 Written by PETER DAVID & ROBIN FURTH Pencils and Cover by JAE LEE & RICHARD ISANOVE Roland has incurred the wrath of the evil sorcerer Marten, and must flee his home in Gilead with two of his young friends. But arriving in the supposedly friendly town of Hambry may be no safer, for the dreaded agents of Marten are abroad-The Coffin Hunters! Though it's not all completely bleak as Roland meets the woman who will become the love of his young life-the beautiful Susan Delgado. Plus: Learn more about the land of the Dark Tower with exclusive bonus material! 48 PGS./CARDSTOCK COVER/Parental Advisory ...$3.99 Cover price $3.99. Third Printing featuring a new variant cover by Jae Lee. Written by PETER DAVID & ROBIN FURTH Pencils and Cover by JAE LEE & RICHARD ISANOVE Roland has incurred the wrath of the evil sorcerer Marten, and must flee his home in Gilead with two of his young friends. But arriving in the supposedly friendly town of Hambry may be no safer, for the dreaded agents of Marten are abroad-The Coffin Hunters! Though it's not all completely bleak as Roland meets the woman who will become the love of his young life-the beautiful Susan Delgado. 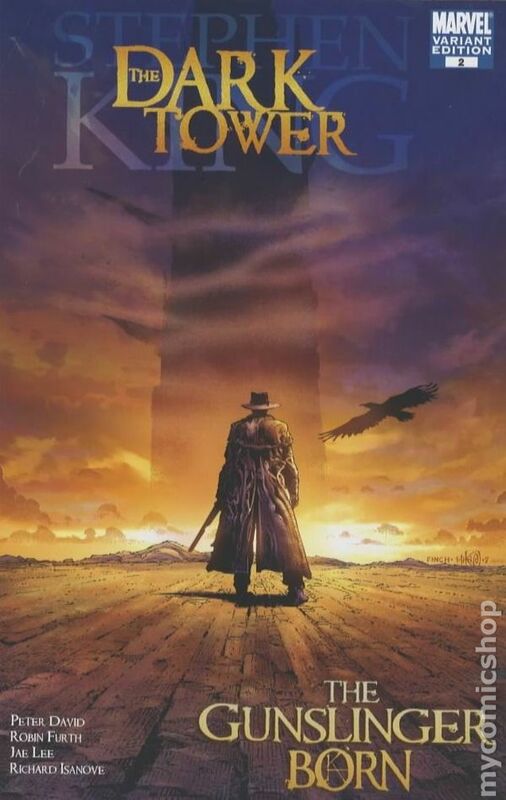 Plus: Learn more about the land of the Dark Tower with exclusive bonus material! 48 PGS./CARDSTOCK COVER/Parental Advisory ...$3.99 Cover price $3.99.